Originally from Lake Zurich, IL Jenny has played professional and semi professional soccer for the last 7 years in the United States, Canada, and Sweden. 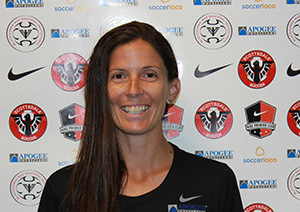 She has coached club soccer for the last 3 and a half years in Arizona and has a Bachelors degree in Psychology from the University of Tennessee. This is Jenny’s first season with Scottsdale Blackhawks.